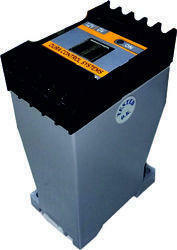 We are indulged in manufacturing and supplying of a vast range of Automation Equipment. Used across numerous industries such as Chemical, Food processing, Glass, Nuclear power, Robotic, Automation, Automobile and many more, these have enabled us garner a huge client base. These are widely appreciated for their ability to withstand harsh industrial environment, good service life, robust designing and fast processing speed. We welcome queries from Tamil Nadu including Chennai, Madras, Coimbatore, Kanyakumari, Nilgiris, Tirupur, Vellore, etc. 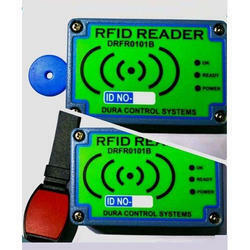 RFID is a next generation of Auto Identification and Data Collision Technology which helps to automate business Process. This automation can provide timely information without any human intervention. It Supports Multi-Protocal high frequency in compact size with inbuilt antenna. Interface through RS232/RS485 Communication, Baudrate can change at run time using Protocols. Low cost method for Reading Mifare Cards and Tags. Serial Interface output for identified tags. Status LED's for Power,Ready Ok.
Biometric switches are designed to control and secure access to systems and machines by checking user’s authorization through fingerprint recognition. Best in class industrial grade components and quality. 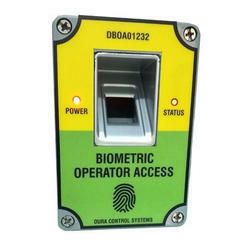 Interface with PC Software through RS232 Communication for fingerprint registration. This biometric switch operates on 24V DC and provides protection against reverse polarity. Storage Capacity : 100 Templates. Verification time less than 1Second. Mounting: Fixed by means of a nut(Hand-Tightend without need for tools) in a standard 22.5mm diameter hole. Enclosure material glass fibre reinforced duroplastic polyester. Ingress protection IP66 to EN60529. 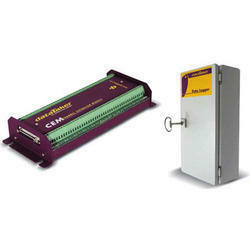 We are the major producers and suppliers of different types of Automation Equipments. 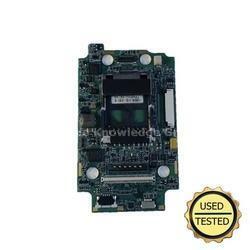 Our company takes pride in offering our clients Data Acquisition Systems, which are made out of high grade raw materials and advanced technologies are incorporated in our products. Our cost effective products are very much long lasting. Our products come with exclusive designs and colors. The products function very fast and efficiently. Our production areas are located in Chennai, Karnataka, Kerala, Andhra Pradesh and various other places in India. 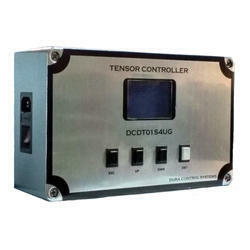 Tensor Controller is a compact device with a wide range of digital inputs / outputs and plug-in terminals. Tensor Controller has many interfaces: USB,RS232 and LAN. These enable measurement data to be acquired locally at a PC or PLC, for example, transmitted from a test stand via a company LAN.Tensor Controller can be worked as both stand-alone device or interfaced with PC or PLC or any other devices with the help of connectivity offered. DVI-I connector for Display and Monitor. USB cable for transferring data from internal Memory to USB Devices. Ethernet port for communication with PC or PLC etc via TCP/IP. We are the industry leaders, when it comes to producing and supplying different types of Automation Equipments. We are pleased to offer our valued customers with high grade and durable SPM and Electrical Panel, which are made out of superior quality components and raw materials. Our machines include sofa testing machine, press machine and assembly machines. 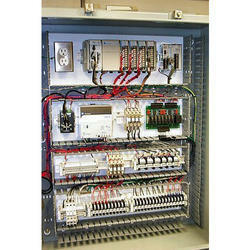 We indulge ourselves in building electrical panel for automation and industrial purposes. We also do electrical panel wiring and PLC programming in houses. Owing to immense knowledge, we are engrossed in offering a precision-engineered assortment of Switched Mode Power Board. Our offered product is designed at state-of-art production unit.